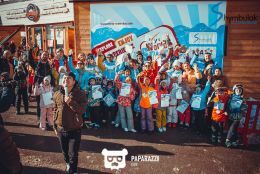 Kazakhstan Ski Association in cooperation with Shymbulak Ski Resort organized the celebration of World Snow Day 2018. The Event started from the official part, were the head of the opening ceremony explain about tree E rules: EXPLORE! ENJOY! EXPERIENCE! 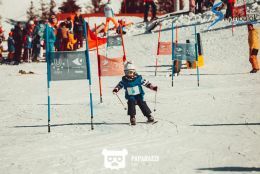 After the opening ceremony activities started, these were a ski lessons for kids, ski competitions, sledged and a lot of games on the fresh air with music, food & drinks. 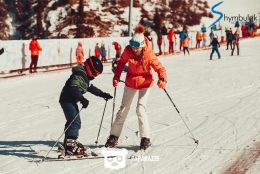 Kazakhstan Ski Association invite group of kids from children's home and organized free ski lessons for them (ski passes and equipment was also free). After ski lessons group had lunch and then an excursion, that started on the highest point of the Resort. Children learned a lot about our mountains and nature, how they should behave in the maintains and on snow. At the end kinds played games in a special game room and outside. World Snow Day finished with Awarding Ceremony, where all participants and winners got their medals, certificates and gifts. It was great sunny day and we are sure that kids will remember it!